The Beach Chair Diaries is a memoir of feelings. 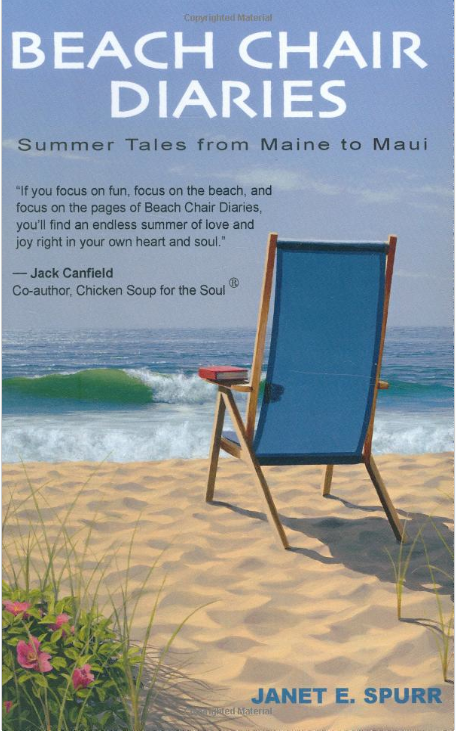 These feelings do not come from the author, though her experiences on the sand “from Maine to Maui” are chronicled, but rather it takes the reader back to those flashes of toes-in-the-sand, sun-screened bliss we take away from the sun, the sand, and the ocean at the beach. From built surfers in Hawaii to the elite yachtclubbing brethren of Massachusetts, The Beach Chair Diaries is a romp around a world confined to the borders of the beach, away from the concrete jungle and laptops. It is carefree and joyous, a companion made for a glass of sangria and a breezy night. If you’re looking for substance and deep metaphors, look elsewhere, this memoir holds true to its catchphrase of being a fun read- not something to pore over for hours at book club, but rather to enjoy as a personal reflection on times outdoors, perhaps when the weather is colder and the sun does not shine as bright. The collection is divided into twenty short stories, each filled with generalizations of life on the seashore, and the yearning when we are taken away from it. The writing is strongest when describing the transcendental qualities of a day at the beach, and the way that age does not draw us away from our childhoods- at fifty we are just as likely to hop on as surfboard and paddle away as at fourteen- though perhaps now more allured by the man teaching the lesson than the rental paddle board. Before picking up the memoir, expect fun and casual glimpses at an author’s life by the seashore, not an intense rollercoaster of emotions and morals. If you’re craving a return to the summer months, and a carefree afternoon, Beach Chair Diaries is the read for you. Even in the hardest of times, books have the power to transport us away from our troubles, and give us a glimpse of the outside world, beyond even the most heartbreaking moments, and let us be free- if only for a few lost hours. Currently on the bookshelf is a list of books we’re loving, which you should, too! Nothing rivals Bulgakov’s ability to intertwine the past, present and mystical. Featuring an over-sized tomcat, the devil himself, and Pontius Pilate in the heart of Judea, Master and Margarita is a Russian classic brought to English in careful translation that doesn’t lose the heart of the piece. Marisha Pessl is known for her debut, Special Topics in Calamity Physics and after many long years of anticipation, her next novel, also featuring a young female heroine caught in the throes of familial drama and naiveté emerges into the sunlight. Pessl’s writing is provocative. It makes the reader crave to turn the page, though the writing is so interesting and the plot so well-woven you don’t want to miss a thing. Make it a double. Read the classic whirlwind adventure of the eccentric yet brilliant Hunter S. Thompson and then watch the film. While panned by critics, Depp’s performance is a homage to the writer (one of his close personal friends). On set, Depp would leave a chair out for Thompson, with his favorite drink and smokes. The film is worth seeing for the beautiful scenery and depressing love story of lavishing and languishing, but requires the beauty and flow of the book to be truly appreciated. The Struggle Trilogy is powerful. It’s a perspective that we need on a war that encompasses a nation thousands of miles from our home- one that feels removed in perspective to the nation whose soil is ravaged everyday by the boots of Americans and police, alike. 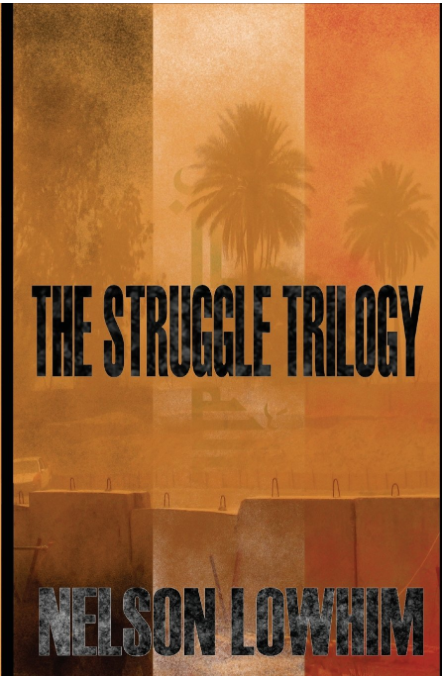 Indeed, The Struggle Trilogy begins by setting a tone of polarization, as the main character Walid, fights for his family, with one child on the way, his conscience, his friends, and his plight to understand world order and the implications of the War in Iraq while he stands in the middle of his crumbling home and watches his nation fall apart- careful that neither the Americans nor the police take notice. Some hidden truths are brought to light in this story. Americans come across as mindless drones of a war they are unsure why they are fighting- only sure they must fight. Their hearts are at home. Their minds focused only on the next bribe. Nationalities in the Middle East are severed- but only for profit. Family life becomes secondary to individual survival, and youth is not regarded as a well, but rather a stream of ignorance. While the story may be centered around Walid’s life in Baghdad, several peripheral characters are introduced who add depth and breadth to the story, including Douglass, an American soldier. Neither Douglass nor Walid are particularly likable. The humanity of war is exposed through their turmoil- Walid’s slow descent into the underworld of Baghdad’s shady underbelly, and Douglass’s seeming incapability (albeit, this is a great simplification) to think, or even be, for himself. While fiction, it has the power to reshape held views through the raw indignities suffered on both sides- neither of which are painted with a clichéd brush. They are real, suffering characters, who endure graphic, physical pain that sears off the pages, and have deep lapses in their conscience behaviors, whether the product of their environment, their humanity, or the greater world that we live in. The terminology of The Struggle Trilogy expounds upon common military terms. Scenes of violence are not avoided- they are tackled straight on. Expect to feel slightly queasy. The magnitude of the pain, the shockingness of the suffering explored throughout the three parts of the novel leave the reader confused. As does the ending. The ending is perhaps the weakest part of the story. The rich character development throughout the books gives way to a complacent finish, one that any reader can root for- but which is frustrating all the same because in many ways the ending confirms the confusion, the brutality, the betrayal, and the mindlessness of war explored throughout The Struggle Trilogy– there are no clean cut corners. Winners and losers all stand in the same city of rubble at the end of any battle- the real winners are those who profit from the tangled heaps of wire and concrete, who see past alliances and idealism to the brutal deceits of war and the lives it alters. The Struggle Trilogy is a must-read for anyone interested in a perspective of war that is not diluted- but rather laid out with conclusions for one to draw on their own- outside the range of the media’s influence. While it may be fiction, it is thought-provoking, tough, and a well-written journey through a very real place. Ingrained in running a review blog that accepts all submissions, from all genres, from all levels of writers, is the acceptance that some manuscripts sent to our inbox will have typos, sentences without periods that never seem to end, or names that morph over the course of the story. It is a given that reading through thousands of pages, you will find errors and mistakes, whether due to grammar, format, or even the occasional missing page. As a reviewer, few of these small, common errors deter from the story. Instead, plot lines that emerge strongly and run into the ground, disappearing without closure, characters whose dialogue changes (whether by accent or the essence of their personality), and cases of anemic story lines are the true detractors when reading self-published literature. These errors show a departure from the writing process, from the painful molding, sculpting and close-shaving that every writer must endure to create a finished product. Just like traditional literature, most of the self-published works have very few typos. They have few grammatical errors. Commas, semi-colons and periods are all perfectly arranged. Instead of being plagued with typos, self-published works are often a tribute to the careful pruning and dedicated review that authors give to their own work, and the patience and generous time that each author gives to their work. But underneath the final touches, the final swipes of a keypad, are months of thematic development, character sculpting, and an inherent understanding of the plot, from first words to the final pages. An idea must be fleshed out, salted, put through the wringer, cleansed, and digested to create an illuminating piece of literature. Characters must live and breath on their own in self-published literature- outside of the realm of the writer’s reputation or the author’s best intentions. 1. 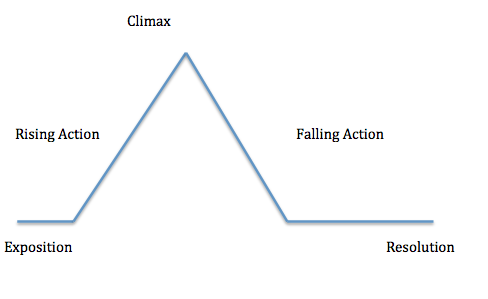 The problem: Plot development beings strong, and then turns stagnant. Instead, try writing out character time lines and plot lines. Use different colors. Use shapes. Think creatively. Give enough time to this part of the process that you would feel confident explaining your story using your plot chart as a guide. Here are some examples. What is intuitive to one person will not be intuitive to another. Explore your writing style through these visual guides. Look at your writing as evolving as art- with many layers of paint, grime, and sweat. 2. The problem: syntactical and grammatical errors abound. While a few typos aren’t enough to deter most readers, glaring mistakes (including misspellings of cities and names) are. Your manuscript should be polished. Mistakes like “to” and “too” detract from the quality and readability of your work. The solution? Read it. It sounds obvious, but the exhaustion and joy after finishing your initial piece can lead to oversight of simple errors. Fixing these problems will be labor-intensive if you don’t want to invest in an editor. The most effective solution is old-fashioned. 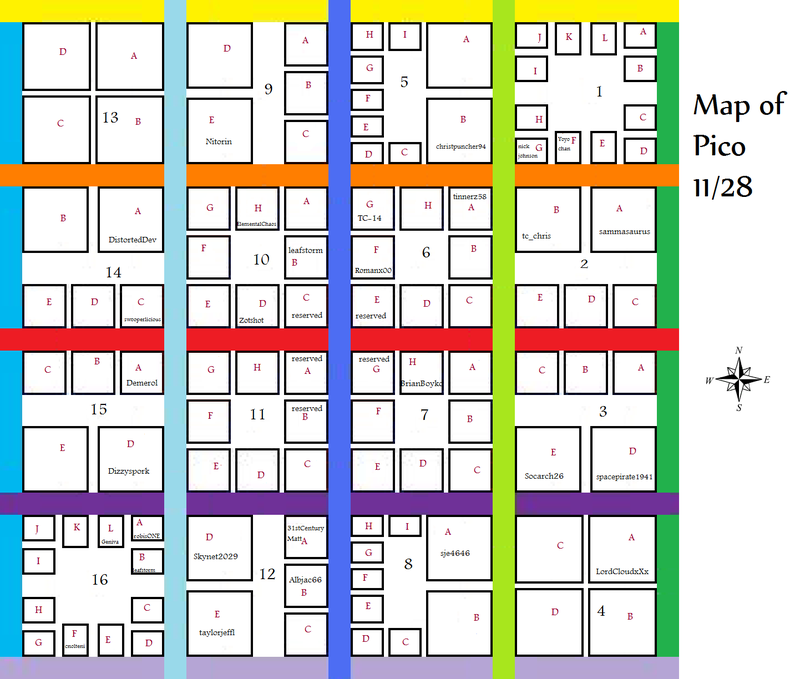 Print it. Mark up your copy. Look at common grammatical errors. Don’t read for content, just for spelling. Read like your high school freshman English teacher. Not for idea development or plot, just for the nuts and bolts of grammar, word order, word choice, and punctuation. After this, read it aloud. Reading aloud helps to find those places that just don’t sound right, whether it’s a run-on sentence, or an awkward thought. Add these edits to your manuscript. 3. The problem: Original thoughts reading like fan-fiction. One of Chomsky’s principles of language is recursion. We can add to sentences forever. We can expand them. We have clauses, contractions, commas, hyphens, semi-colons, we have all these tools to introduce fresh sentences, new thoughts, and beautiful language to our literature. So why don’t we? A common trip-up of self-published work is the reliance on cliches. Original thoughts become dulled when writers rely on old expressions to convey meaning. When conveying brand new ideas and thoughts, using these old cliches does not serve to add clarity, but rather dilutes the meaning and power of words. Instead of relying on age-old adages, reinvent your word choice and writing to reflect your voice. Don’t write to reiterate. Write to stand out. Extract the essence of the style of your favorite author – not their words. Dan Brown is famous for his carefully structured novels. The same elements of his story fall within the same number of pages in many of his works. He is a formulaic writer, with a technique honed and developed over Angels and Demons and The Da Vinci Code. Admire his careful structuring, and adopt the essence of this technique, the careful laying of the plot and timely development. Do not copy the ratios of pages he uses for his books. Don’t begin your denouement on page 313 because Dan Brown does. Avoid fan fiction writing. Don’t adopt characters and put them in new settings. Invent your own characters, their passions and feelings, and write without the archetypes or cliches that have already been developed. The most exciting stories are not copied. They are eked out. The solution? Work with inspiration, not with rules. Approach your writing with the passion of your literary heroes, but without their formulas. Ask yourself what makes your character different. When you describe your characters, plot or setting, do you describe them as a comparison to another work? Why? What sets your manuscript apart from these sources of inspiration? Don’t be a fan, create your own fiction. You’ll find it to be more powerful and more rewarding than cut and copies of old works. Self-publishing offers a break from the traditional. It’s an opportunity to explore ideas and be true to your identity as a writer. It’s also a relatively new field that holds traps and pitfalls, including the ones listed above. Creating a new and original idea is an on-going process, one that may stumble and trip, but which is always recoverable. What are other pitfalls of self-published works that you’ve noticed? Whether a guideline for a few empty moments in the late moments of summer, or a long-term list, this collection of literature offers an eclectic escape for the last rays of sunshine. Begin with Tim Dorsey, his escapades in the Sunshine state are light-hearted, perfect for the dead of winter or the hottest days of summer, and end with Fannie Flagg’s “Fried Green Tomatoes,” a feel-good classic that slaps the social issues we face today between two slabs of brisket and grills for hours into a fun ride through the modern South. This pop culture classic details a sports journalist’s trek to the city of sin with his lawyer and a horrified hitch-hiker in tow. No Thompson journey would be complete without a trunk filled with “two bags of grass, seventy-five pellets of mescaline, five sheets of high-powered blotter acid, a saltshaker half-full of cocaine, and a whole galaxy of multi-colored uppers, downers, screamers and laughers.” One of Thompson’s commentaries on the politics and lifestyle of America, this frenetic adventure details the drug-culture of the 1960’s and ‘70’s with wit and journalistic charm enhanced by the fact that the novel reflects Thompson’s own true journalistic experience on the journey. As our world climbs out of the recession, this sweeping novel provides a look back at the onset of the financial crisis in 2008, and its effect on a single street in London: Pepys Road. While the setting may seem homogenous, the cast of characters is anything but, ranging from Pakistani shopkeepers to wealthy investment bankers, to an ancient woman who has held onto her decaying house while the neighborhood gentrifies. At over 500 pages, the novel is able to delve deep into the complex human reactions around the financial crisis on a personal level, something that no number of Wall Street Journal articles or stock figures can. Be warned, Tim Dorsey’s writing, almost all of which takes place up and down the Sunshine state’s coast, from the everglades to the Disney, is very much like a strip mall: neon bright, sun-faded, and hilariously kitchy. The psychotic narrator and crime-solving genius Serge Storms brings his own moral compass to a case involving murder, $5 million in stolen insurance money, and characters ranging from corrupted politicians to strippers, with their noses dipped in a cocktail of drugs and alcohol. Nevertheless, the novel presents an off-beat spring break humor set around a raucous plot, perfect for a hot summer day when you can let your mind wander down past the Florida line. If you like Dan Brown, you may be engrossed by Steve Berry, who extracts the most debated and chronicled mysteries and intrigues of every continent, and blends them into international rampages. This particular novel, set in Russia, explores the idea that Anastasia and Alexei, the tsarina and tsarevich of the Romanov family executed in 1918 survived, and left an intercontinental riddle guarded by an association called The Holy Band to find their living ancestors. When the Russian government declares a return to monarchy, this quest suddenly has an immediate timeline… and determined adversaries who wish to execute the surviving heirs. While history buffs may hate the inaccuracies and suspensions of belief required to become immersed in this romp through Russia, the prospect itself is intriguing, and those unfamiliar with Russian history will glean a cultural lesson from this thriller. Enjoy It With: black caviar, or blintzes topped with fruit. Set in the Mojave in the western United States, the diverse set of characters share their narratives that span decades, vibrating through time to the beat of “the Pinnacles” the rock formation in the remote desert where their stories collide, beginning with the disappearance of a four-year old autistic boy with distant parents in the modern day. Themes of higher consciousness and a human collective are explored, but the novel does not preach the comings of UFOs and alien beings, but rather connects the past and present in a single place, much like Cloud Atlas by David Mitchell. For fans of Clue, the movie or the game, and those horrified by a certain murder mystery reality show airing this summer on ABC, And Then There Were None is the perfect respite. Readers are engrossed in a diabolical novel in which ten strangers are left on an island, and systematically eliminated when they refuse to reveal their own wicked pasts. While you won’t find Agatha Christie’s most popular detectives (Hercules Poirot and Miss. Marple are both absent from the pages) the cast of characters more than merits reading the mystery, and the story itself poses questions still relevant to our justice system: who has the power to punish the wicked? This meandering chronicle of life is told in the 1980’s, but it details a time long before then, when Idgie and Ruth, two friends in bigoted Whistle Stop, Alabama, ran a café serving lip-smacking barbecue and all the gossip of the community. Interspersed with fictional newspaper excerpts, recipes for corn bread (worth a shot baking before returning to Rice’s kitchens), Fried Green Tomatoes details a society of long ago that still faces many of the problems and triumphs that we do today, and is one of the most quintessential hot summer’s day reads out there. 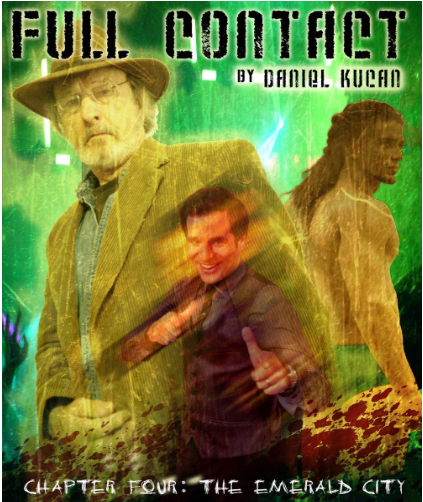 The fourth installment in Daniel Kucan’s boxing saga delivers as well as the first. This grimy, heartfelt excursion to the hole-in-wall Emerald City club in Boston, somehow walks the line between a torrid love story, a gut-wrenching physical and emotional fight between body and soul, and a vivid snapshot of the world of seedy nightclub fighting, a world which few ever enter- and fewer leave. The inner dialogue of the main character, Zach, continues to evolve in this chapter, moving from a stagnant, stoic man, to a more vulnerable figure with a life teetering on a fine balance between solitude and desperate loneliness. Driven by his wishes to give “girl” a tuned piano, Zach continues to immerse himself in decisions made only for the present moment- with no regard for the future nor his well-being. The dialogue continues to be raw and edged with the bitter tinge of a lovable loser whose life is foreign and somehow contrived, yet enthralling and poignant to any reader. The brilliance of this series is the descriptive power of language that Kucan uses, which offers a true feeling of being untamed and wild, the freedom of Zach’s fists, and his own grimy, street-taught discipline races through each sentence of the chapter, permeating the gritty imagery with desperate emotion that continues to evolve through each edition and chapter.